Almost half of British Jewish people fear they have no long-term future in Britain or Europe, while nearly one in two British people hold anti-Semitic views, a pair of surveys published on Wednesday showed. A poll of 2,230 British Jewish people by the Campaign Against Anti-Semitism (CAA) found that 45 percent feared Jews have no future in Britain, and 58% were concerned they have no long-term future in Europe. The online survey was conducted from December 23 to January 11 — a period that spanned the attacks in Paris that targeted the Charlie Hebdo magazine and a kosher supermarket, leading France to increase security at Jewish schools and synagogues. 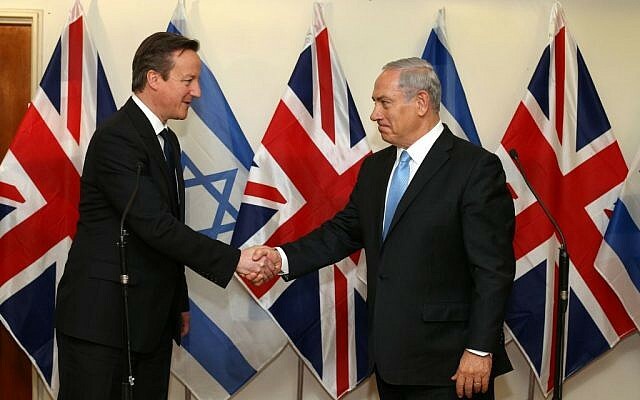 A second survey, conducted by pollster YouGov for the CAA, found anti-Semitic views to be common among British people. Of the 3,411 adults surveyed, 45% believed at least one statement defined as anti-Semitic. A quarter of those polled believed Jewish people chase money more than other British people. Meanwhile, 17% thought Jews had too much power in the media, and 13% said Jews talked about the Holocaust to get sympathy. “The results of our survey are a shocking wake-up call straight after the atrocities in Paris,” said CAA chairman Gideon Falter. A quarter of the Jews surveyed by the CAA said they had considered leaving Britain in the past two years. The CAA said 2014 saw the most anti-Semitic incidents recorded by police since records began 30 years ago. Official figures from London’s metropolitan police showed anti-Semitic crimes more than doubled in the capital between November 2013 and November 2014, compared to the same period a year earlier.